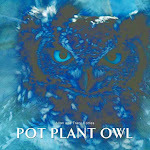 Pot Plant Owl's wetland is saved! 1. The proposed development will potentially impact negatively on the wetlands present on site. 2. The mitigation measures suggested in respect of the proposed development are not adequate to address potential impacts to the river system and wetlands present on site. 3. Authorisation was denied with due process and compliance with applicable legislation and policies including the Department’s Gauteng Ridges Policy which states that ridges are ecologically sensitive and therefore should be protected against transformation that will negatively impact on such ecologically sensitive biodiversity. At this time, Allan and I would like to once again thank each and every one of you who signed the petition to stop the development on the wetland. Thank you to all of you who have shown support and offered assistance. We really appreciate it. What happens now, we do not know. We are looking to offer our assistance to the developer to rehabilitate the wetland, and turn it into something indigenous and safe for the creatures who call it their home. Great news Tracy and Allan! That's very good news, congratulations! I am so incredibly happy! PPO's land is saved! Thank you for accomplishing this, Tracy and Allan. That is Howly good! Hork cigars all around! I am so happy for you, Tracy and Allan - you did a wonderful thing with lots of hard work behind it. If I lived over there by you, I'd be on the bandwagon and doing my part to protect nature and the animals that live there. Congratulations! !